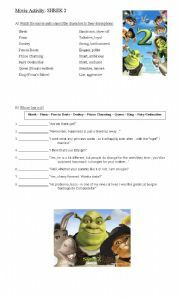 This is a very nice activity based on the story and characters of the movie "Shrek 2". 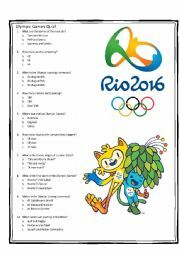 This is an interesting worksheet to work with students who are applying for a job. 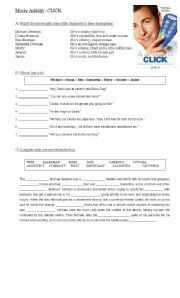 It is very useful because it contains a list of key-words in interviews, and a mock interview to practice. Hope you like it! 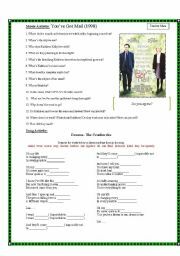 I designed this activity to welcome my students this year, and also celebrate Valentine�s Day. You should show the first 30 minutes of the movie "Mamma Mia" (up to the part that Donna falls down to the goat house and sees her three ex-boyfriends). Hope you like it. 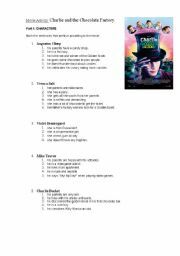 This is a worksheet I have prepared to the movie session we hold every semester at my school. This movie is very romantic and the questions are very easy to be suitable for beginners. Hope you like it! 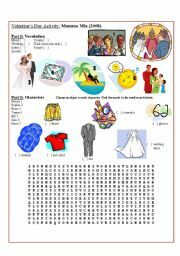 This is a very nice activity based on the story and characters of the movie "Click" with Adam Sandler. This is a nice song to work with your students. The activity is composed by: a quiz about Katy Perry�s biography, an exercise with the vocabulary of the song and illustrations, and three different exercises to do with the lyrics while listening. 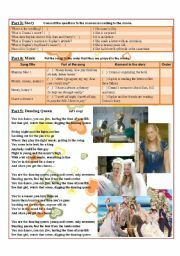 It was created to be used with my other worksheet about the video of this same song. Hope you like it. hi guys! 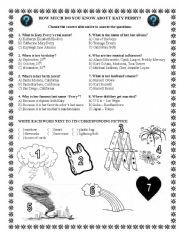 This activity has a little Ed Sheeran�s quiz to warm-up. After that, show the video with some follow-up questions. Finally you can work with the lyrics using an alternative choosing exercise. Enjoy! This is a great song! Hi guys! This is my last contribution about the movie "The Age of Adaline". It is a ppt to talk about the changes in Adaline�s appearance throughout the story. It is a good opportunity to talk about fashion and the events that happened during the decades. Hi guys! This is a ppt I created to introduce the topic about weather in my classes. My students love songs and this is a classic. Hope you enjoy it!